On Saturday 1st April 2017, Kámoši Juniors Performing Arts Group performed their NEW production, The Wizard of Leigh to celebrate International Roma day at the Turnpike Centre to a packed local audience. 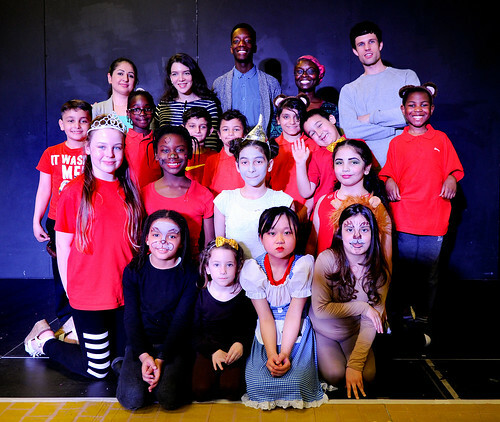 Everyone who came to watch were wowed with what turned out to be a contemporary theatre take of an old tale created and performed by its young cast of 7 to 13 years. The Wizard of Leigh included original choreographies inspired by cultures across the world from Africa to Eastern Europe. 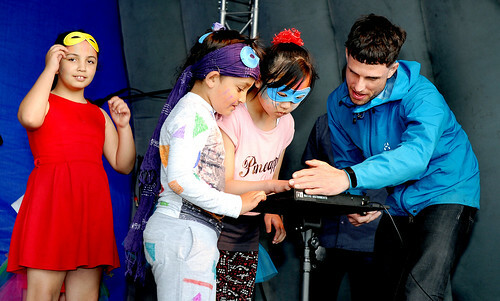 Music accompaniment was provided by the children on keyboard, guitars chaos pad sampler accompanied by some stunning vocals. The script was co-written by young playwright, Megan Thomson. In this second year of the programme we have witnessed huge leaps in the children’s creative progression, confidence and interaction in their local communities. The children also took part in Leigh Carnival on Sunday 4th June 2017. Wonderful Performance from the children and lovely to see. You could see the Strong bond between children – supporting each other. Brings out the best and identified talents in the whole group. Some of the shyest children came into their own. This year 25 children received their Discover Arts Award. The Kámoši Performing Arts project will continue until July 2018 with support from Children In Need and Youth Music.